To celebrate the Francophonie month of March, Café des Sciences Lecture series presented a special edition co-organized with other French speaking countries and regions on Thursday, 21st of March. 5 Scientists and startups from Belgium, Canada, France, Luxembourg and Switzerland were invited to present their research and pitch their projects. Creative design, sustainable energy, botanical science and various other topics are discovered and explored through the lecture. 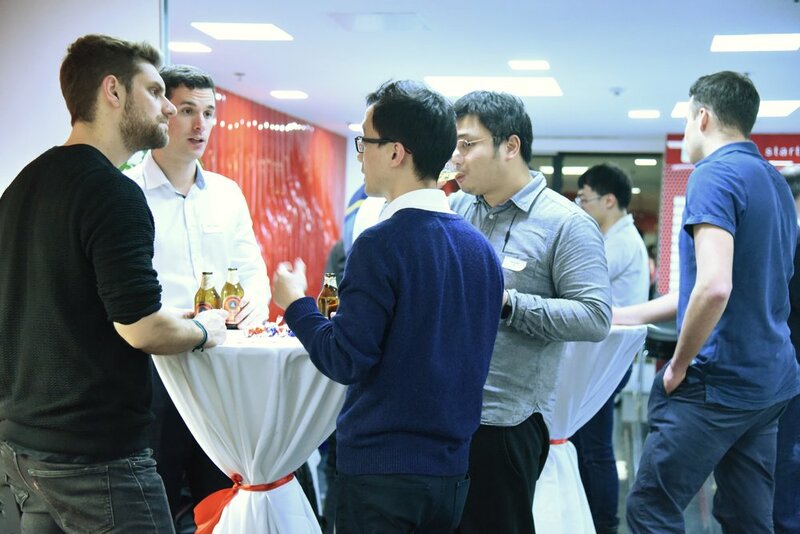 An audience of more than 70 French speakers in Shanghai gathered together in the swissnex China conference room to exchange with the speakers and enjoy the social networking Apéro. The first speaker — Arthur Limpens from Belgium - introduced the development and keys to success of the startup DesignNest, a consumer product design platform. He started DesignNest during his studies and the company is today present across the globe, with a valuation around USD 30M and 120 employees across 5 locations as well as its own factory. He focused on widely used products, but proposed innovative designs focused on what purpose the product really serves. A good example is a multi-plug that looks unexciting at first; but its thought-through functional design made it an extremely popular product. The startup now launched a platform where designers from around the world can collaborate with the company to realize their products using their expertise and experience. The second speaker is Prof. Gilles Vincent. He is a Canadian scientist now based at the Shanghai Chenshan Botanical Garden, where he can grow plants in a controlled environment on a real-life scale. This setup is unique in the world, as most botanic experiments are either on a very small scale or have external factors that cannot be controlled. His research focuses on two questions very relevant for urban Shanghai: waste water treatment and “phytoremediation”: the use of plants to clean polluted soil. His team has successfully recognized plants suited for both tasks and the results of his research is already being applied by the municipality of Shanghai. Our third speaker is Pierre Angot from France. He is Co-Founder of ProtectorChain, a startup that helps companies improve the security of their supply chains using blockchain. He shared the blockchain technology with the audience. The blockchain allows every actor in a supply chain to record and store information that will be accessible to everyone. What makes this special and particularly useful is the fact that no actor can modify the data once it is stored. It thus acts as a proof of everything that has happened. After developing a prototype for robot vision during his PhD at ETH, the fourth speaker — Prof. Laurent Kneip from Luxembourg worked on extending his research to self-driving cars. He is now Assistant Professor at Shanghai Tech university, where he is developing a tool to drive cars autonomously based on the sensors that are already present today in cars on the market. His team is hoping to achieve that by limiting autonomous driving to a controlled environment; in particular, they hope to enable cars to park autonomously in certain parking lots. This technology allows to track movement using only a limited number of sensors, which can have many attractive real-world applications. The last speaker Laurent Coulot is from Switzerland. He graduated from EPFL, where he started working on solar panels with the goal of increasing their efficiency. 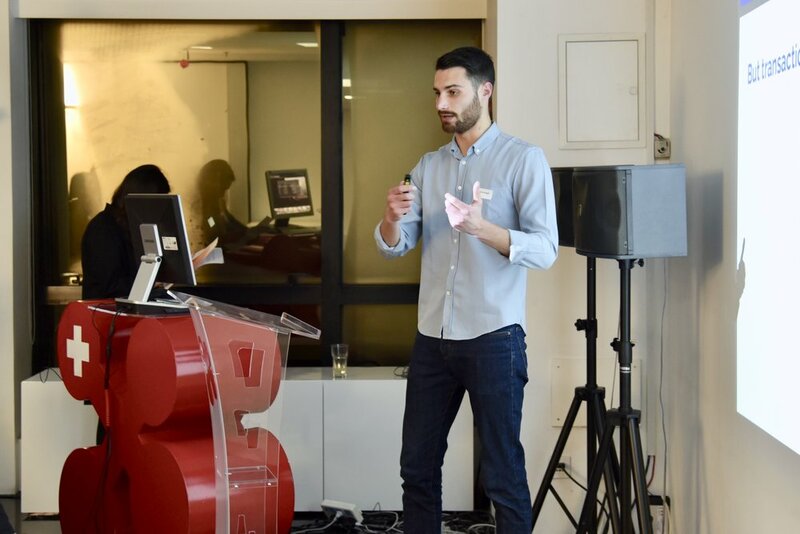 Using technology usually reserved for space equipment and smartly focusing the light to reduce the costs, Laurent and his growing team came up with a design of solar panel that is viable for large scale production and commercialization. They are therefore moving to the next step, where China will play a decisive role for them: finding partners for the production of their solar panels. From Left to Right: Arthur Limpens (Speaker), Co-Founder of DesignNest; Marie-Adélaïde Matheï, Consul for economic affairs, Consulate General of the Kingdom of Belgium / Wallonie-Bruxelles International; Gaétan Messin, Science & Technology Attaché, Consulate General of France; Pierre Angot (Speaker), Co-Founder of ProtectorChain; Anneleen Van Landeghem, Consulate General in Shanghai, The Grand-Duchy of Luxembourg; Prof. Laurent Kneip, Tenure-Track Assistant Professor at Shanghai Tech university, Shanghai Tech University; François Dansereau, Head of Political and Public Affairs, Vice-Consul, Consulate General of Canada / Québec Government Office in Shanghai; Prof. Gilles Vincent (Speaker), Special advisor to the Executive President, Shanghai Chenshan Botanical Garden; Laurent Coulot (Speaker), Co-Founder and CEO, Insolight; Dr. Felix Moesner, CEO & Science Consul, swissnex China; Rahel Gruber, Operations Manager & Co-Deputy CEO, swissnex China. Café des Sciences - Francophonie special edition, was co-organized with the Consulate General of Belgium / Wallonie-Bruxelles International, the Consulate General of Canada / Québec Government Office in Shanghai, the Consulate General of France / French Tech Shanghai and the Consulate General of Luxembourg. We'd like to appreciate our thanks and appreciation to their great support in co-organizing this event! 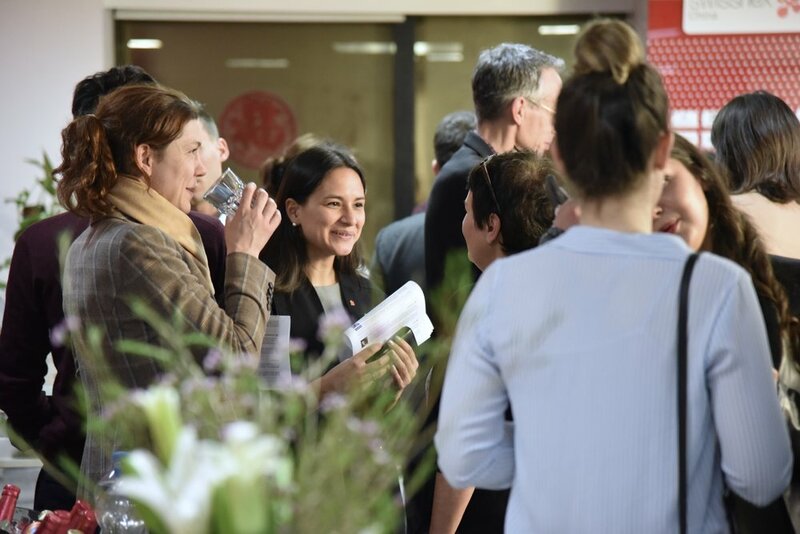 Café des Sciences is a new format at swissnex China offering a monthly platform for Swiss Spotlight Scientists and Start-ups to present their projects and connect with the local community. The lectures will offer a casual setting in which speakers can present their work and engage with the attendees during a Q&A period. Audience are welcome to enjoy the networking reception with Swiss flavour after the talk. The lecture is scheduled to take place every third Thursday each month at swissnex China or our partner spaces. The arrival of spring has brought forth a good variety of cultural events. 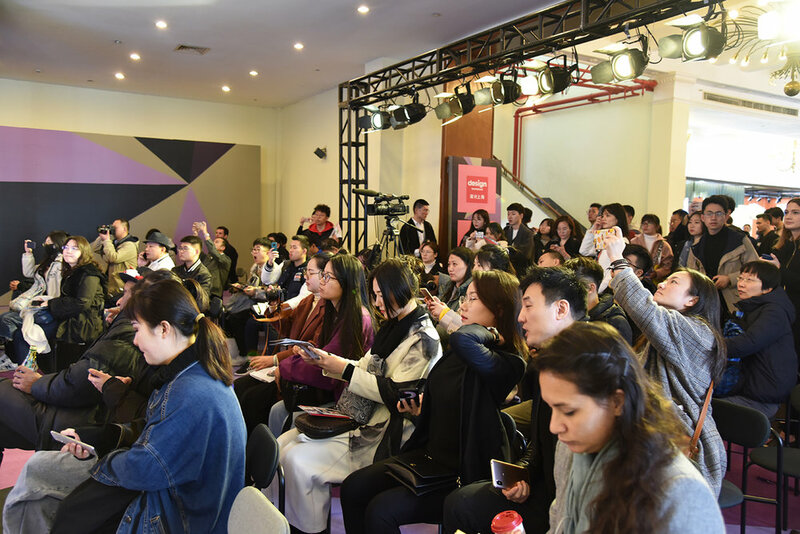 At the top of the list comes Design Shanghai, one of the leading design events in Asia. This year swissnex China has been invited to represent Empa, the Swiss Federal Laboratories for Materials Science and Technology, at the New Material and Application Exhibition area curated by Neuni. 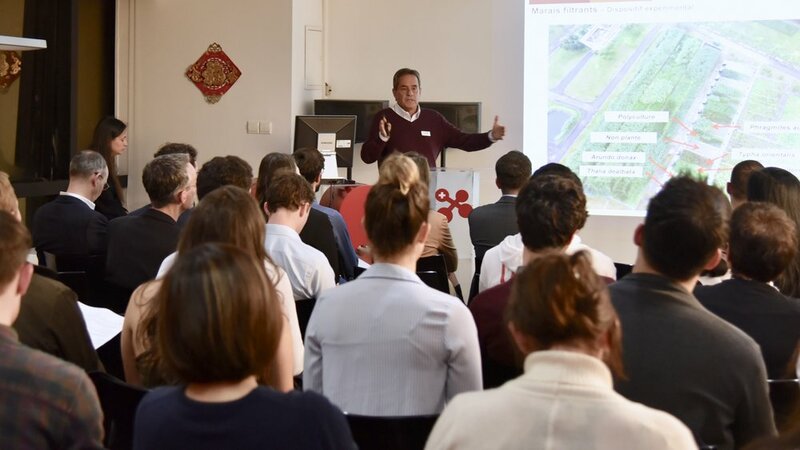 On March 8, Dr. Felix Moesner, Science Consul and CEO of swissnex China, represented Empa as a guest speaker to share the latest Swiss development and achievements in science, technology, ecology and materials with the audience at the New Material Workshops. The fresh topic attracted a large audience who were eager to learn about cutting-edge Swiss contributions in the field. Throughout the 4-day exhibition from 6-9 March, innovative materials and applications from Switzerland were placed in the spotlight. New materials created with leading-edge Swiss technologies and products were prominently featured as part of Material Trends on “Future Craft,” “Residual Impact,” and “Bio-Digitalization”. Materials and products from all over the world have been presented in this 1,000㎡ exhibition area. It was the first time for many of these designers and material manufacturers to be introduced to the Chinese market. As an interdisciplinary research institute of the ETH Domain, Empa conducts cutting-edge materials and technology research and showcased at Design Shanghai innovative product such as Sonowood, Gold Coated Fiber, Optical Fiber Sensors and Smart Textiles etc. In addition to the exhibits from Empa, the world’s most advanced anti-counterfeiting technology as seen on Swiss Bank notes were also on display while Swiss brands such as Egli studio and Schoenstaub also brought their products to the show, which was supported by the Consulate General of Switzerland in Shanghai. 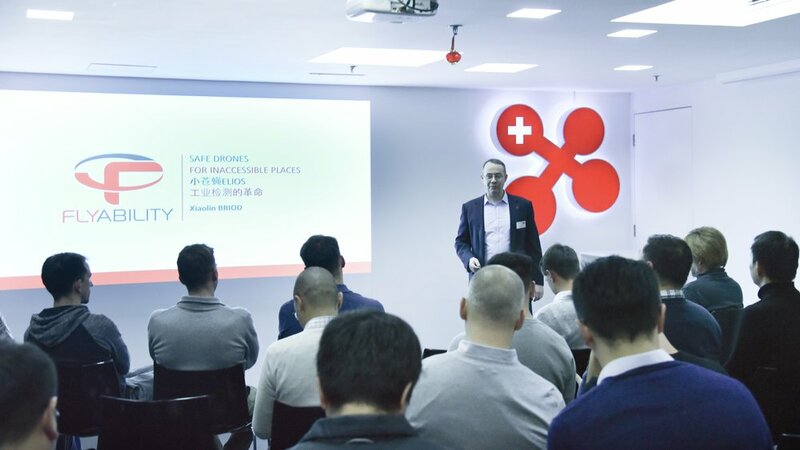 On 21st February, swissnex China organized an networking-event focused on Swiss safe drones in Shanghai. Including scientists, investors and experts from local drone industry, 50 registered guests came and joined the event. 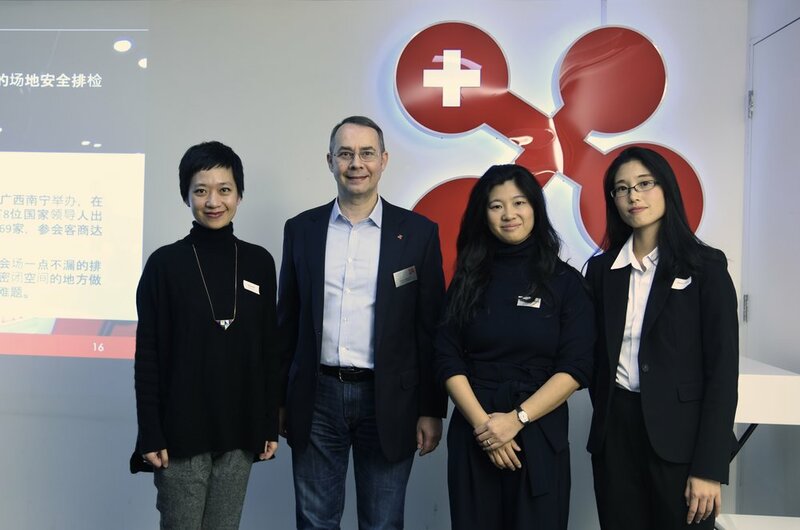 We invited Xiaolin Briod-Wang, General Manager of Greater China at Swiss startup & EPFL spin-off Flyability to give us the speech about its drone ELIOS, which is the world’s first collision-tolerant Unmanned Aerial Vehicle. The speech was followed by networking session with Swiss-style refreshments. During the event, Xiaolin presented Flyability and introduced it’s safe drone - ELIOS - for industrial inspection where it avoids sending people in dangerous and confined spaces for the inspection of energy, oil & gas or transport infrastructure. ELIOS is also active in search & rescue and security to assess emergency situations without putting humans at risk. 50 Audience came to the event. Integrated payload, on-board lightening, continuous operation, LIVE 2.4 GHZ video feedback, protective frame… as Master of Science in Microtechnology, Xiaolin explained the design and construction of ELIOS in details. 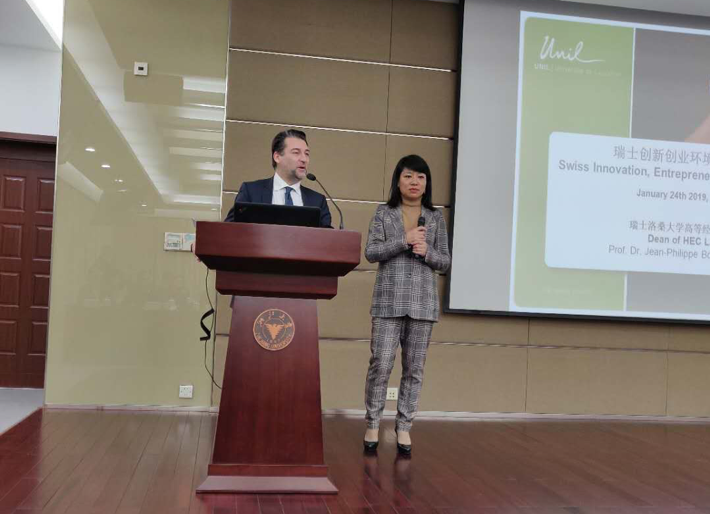 She also showed two videos as examples that ELIOS was used for inspection in China in order to save the cost and time as well as improve the safety: one is for China-ASEAN Exposition event inspection, the other is for sewer inspection in Shanghai city. After the presentation, there was a followed-up Q&A session. The audience was interested in ELIOS and gave many insightful feedback about its applications for different kinds of inaccessible places. This event was also the 2nd Edition of our new “Café des Sciences” event series - a monthly platform for Swiss Spotlight Scientists and Start-ups to present their projects and connect with the local community, which are scheduled to take place every third Thursday each month at swissnex China or our partner spaces. We would like kindly invite you to join our upcoming events.